Many older adults believe that living on their own is a sign of independence, and tell family that they want to stay in their home despite their declining health. At times, with support from a care provider or two, the elderly may be able to age in place for a while. For many, however, there comes a point when safety and quality of life become a factor. Those who live alone frequently suffer from loneliness and the lack of socialization; they have poor diets and risk dehydration; they perform dangerous acts in attempting to keep the home clean; and they lack mental stimulation and exercise. All of these factors take their toll as time goes by. What families often do not realize is, there are quality, caring, personal care communities in the area, and if you’re waiting until the move is ‘necessary’ your loved one might be missing out on a fulfilling, socially rich opportunity to enjoy his or her senior years—and possibly add quality years to their life. Communities such as Baptist Homes and Providence Point offer an active, person-centered lifestyle in their Personal Care residences. The team of care providers includes direct care staff as well as a dietician, a wellness director, a fitness coordinator, an activity director, a chaplain, and others who focus on providing a meaningful and engaging lifestyle for residents. There are daily activities, outings, entertainment and wellness programming available. Families often comment that their parent or spouse ‘thrives’ once they are in this supportive environment. Is your elderly parent becoming more forgetful and putting their own health and safety at risk? Occasional forgetfulness may not be a big deal, but as it progresses and you notice the state of their home and hygiene declining, it may be time to step in. Is your loved one having more trouble getting around, maybe frequently has new bumps and bruises? Within the Personal Care setting, assistance is available for bathing, dressing and other acts of daily living. If they fall, someone can respond more quickly. Is there food in the refrigerator? Can they get their shoes on and get dressed? These are all examples of activities people are expected to do when living on their own. If they’re having trouble keeping themselves or their home clean, more support may be necessary. Has your loved one stopped meeting up with friends or going to their favorite diner? 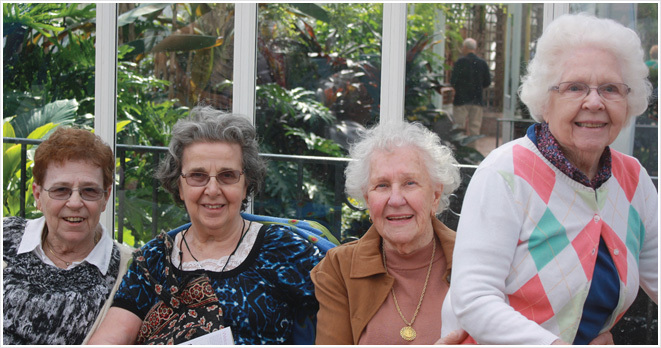 Within a Personal Care community, older adults remain more social and stay involved in activities they enjoy. Isolation can lead to depression and other concerns. No one really likes the process of moving, and saying good bye to the past can be hard. But the right move at the right time is a smart thing to do. Often, Personal Care residents feel MORE independent because they do things without having to ask family for help; they make new friends, and discover new interests. If you’d like information about Baptist Homes or Providence Point Personal Care residences, call (412) 350-9654 for more information.